The standard salad arugula. Long, dark, lobed leaves are suitable for salad mix or bunching. The white flowers with dark pink veins are edible, and can be harvested as they appear. Sprinkle them over salads or add to vegetable stir-fries. Flavor is spicy and nutty. Popular choice for brightening up salad mixes. For bunching, cut just above base. For baby leaf, clip leaves for cut-and-come-again. 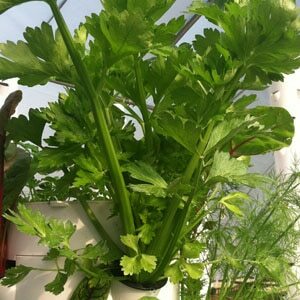 After plants flower, the leaves can still be used but taste is sharper. The flowers are also edible. Grown year-round in the Tower Garden®.